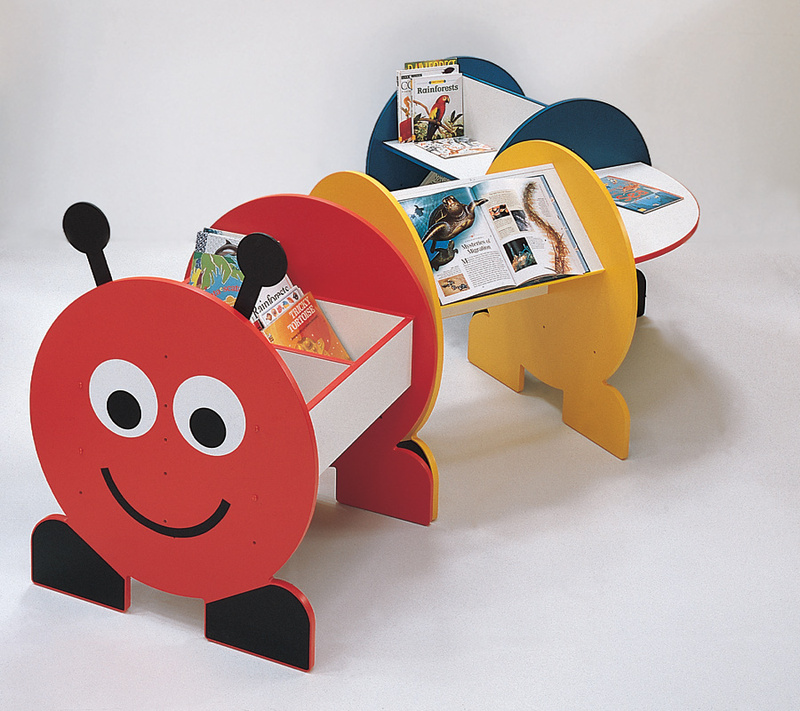 This book display and storage unit is made up from parts of our Learning Bug range. Each component is made from 18/19mm melamine-faced particleboard wth PVC edges. Interiors are white MFC with 3mm PVC edging to match end panels. The Learning Bug is supplied flat packed with fixings and instructions for self-assembly. The Learning Bug range is a mix and match system so you can create a unit to suit your needs. Additional options include: bench seat, adjustable kinderbox and shelf unit. For more information on expanding the Learning Bug or creating your own please Contact Us or call us on 01733 511121.